If you have ever traveled in the American Southwest, or even if you have seen pictures, you already know that the landscape there is something that is quite impressive! 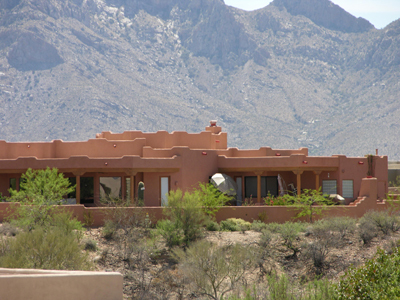 A look into Southwestern style homes will reveal lovely open floor plans, beautiful natural amenities like granite counter tops and stone flooring, and a simple, yet dramatic style that is subtly enhance by lovely muted desert colors. The marriage of elegant Spanish and Native American influences, among others, is just part of what makes these southwestern home plans so inviting. Take a look at some of the styles that you can choose from. Mission-style homes, for instance, capture the grandeur and grace of the old Spanish mission churches. You'll see curved roof lines, patterned tiling, and a general predisposition towards round or clover shaped windows. You'll often see twisted columns, lovely arches and arched dormers. Southwestern home plans that are based on an adobe style are made from sun-dried brick, and there are plenty of advantages to using this type of material in the American Southwest. The walls are made to absorb heat in the day and to keep the home and its inhabitants warm in the night. Though it is considered to be quite labor intensive, it can also be accomplished by people working with just their friends and family. Another type of southwestern home plan, the Spanish style home, is completely inspired by the architecture of the Old World and of Latin America. With this style, you'll see more vibrant colors and a grand and elaborate approach to detailing. These homes are often built with thick walls to keep in the coolness in Southern climes. Some other features include arched entryways, low, round towers and wrought iron balcony railings. When you are looking for something that is grander even than the Spanish style, consider taking a look at southwestern home plans for the hacienda style home. The hacienda may include amenities like a motor court, and you'll often see that one of the most prominent features of this type of home is an impressive stone arch that leads into a gallery hall. You may find a double sided fireplace in these hoes as well as rooms that are warmed by natural sources of heat. The southwestern style on the other hand, is one that is rapidly gaining popularity in the Southwestern United States. 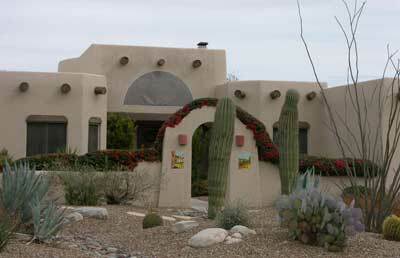 This southwestern home plan ptakes a great deal from a Native American influence. This style, also known as Southwestern Territorial, has a great deal of spare and straightforward design. You may notice flat roofs with parapets, milled woodwork, and smooth or stucco walls. These house are less ornate than many of the styles listed above, but have a charm all their own. Take some time and take a look at all of the Southwestern style home plans that you have to choose from. This is just the beginning of the fun when planning to build your dream home.